We are living in angry times. Rage-fuelled, frustration-driven, angry, angry times. The party’s lurch to the left and election of political maverick Jeremy Corbyn is in part symptomatic of a deeper fury toward a political system which seems to work only for a narrow sector of society. Too often the voices of vulnerable women, young people and disabled people have been shouted down in pursuit of an always “just-around-the-corner” economic recovery. Meanwhile, the lurch to the right in parts of Europe has revealed a growing polarisation in political opinion. While Syriza swept Greece, PEGIDA marched through Germany and as Merkel opened her nation’s doors to over 1 million refugees, some of her compatriots made their feelings clear by joining the ultra-right wing AfD. Indeed the Trump phenomenon which has dominated the Republican primaries in the United States is perhaps the truest example of what can happen when enough people have had enough. Restraint is viewed as weakness, consensus becomes cowardice and might makes right. A colleague once said to me that “anger could be a beautiful emotion”. He was right. There is such a thing as righteous anger. Jesus Christ demonstrated it well in turning over the money changer’s tables in the temple. His was a righteous rebuke. But how might we show anger, with true altruism today? 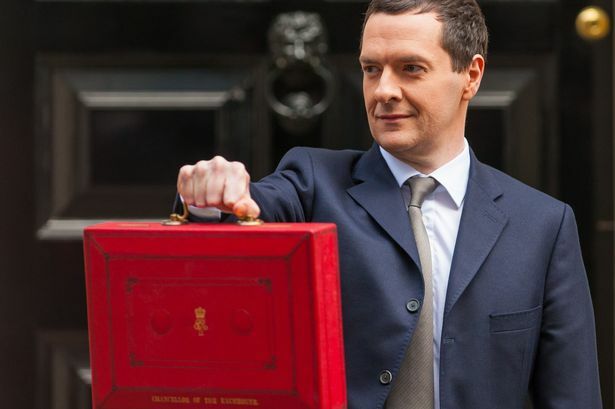 On Wednesday 16th March the Chancellor of the Exchequer announced his eight budget. As with all such events there was some political grandstanding which could be swept aside but there were certain parts which I found impossible to ignore. Forthcoming changes to Personal Independence Payments would result in billions of pounds in ‘savings’ but could negatively impact thousands of disabled people whose already-precarious living standards were at risk of being further compromised. As if this weren’t bad enough, we were told that the threshold at which the top rate of income tax was applied was to be increased putting more money in the pockets of the highest earners. In short, the vulnerable would be penalised in order to further cosset the comfortable. I could have got angry. After all, this was exactly the sort of injustice I joined the Labour party to help challenge. Instead I decided to get active. Just as I had done for several weeks before I pounded the local streets, talking to my neighbours and asking them to consider making me a Councillor so that I might bring some small degree of balance to our overwhelmingly blue district. Like most of us I know the economy is complex. I know that there are unintended consequences to almost every major decision we take and that there is no perfect way of organising. Yet there is one change we can make which might turn our collective gall into lasting good. We should aspire to be a nation with an economy which exists to serves its people, not the other way round.